Erick Helenihi begins his first season on the Virginia Elite staff as a floater coach after playing and coaching competitively for over 24 years. An Orange, California native, Helenihi began playing with Balboa Bay Volleyball Club and helped his team to an open national championship in 1998. He then went on to pursue a highly accomplished collegiate career at The University of California, Irvine, where he was honored as an AVCA Second-Team All-American for his contributions as both an opposite and a middle blocker. After graduating, Helenihi continued to play with a competitive men’s USAV team. 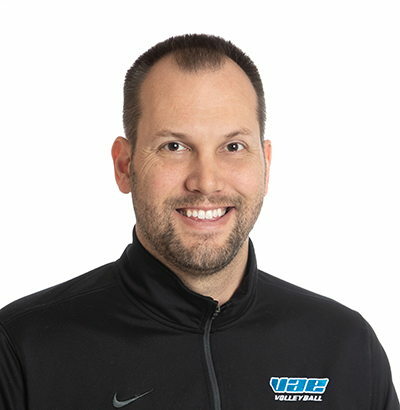 He coached for Arlington Elite Volleyball Club, most recently as the head coach of the 15’s-Orange team, before joining Virginia Elite. Helenihi graduated with a B.A. in Economics from UC Irvine, a J.D. from George Mason University, and is currently finishing a Masters in Analytics from Villanova University. He now resides in Arlington, Virginia, and works as a Case Analyst at the U.S. Parole Commission.